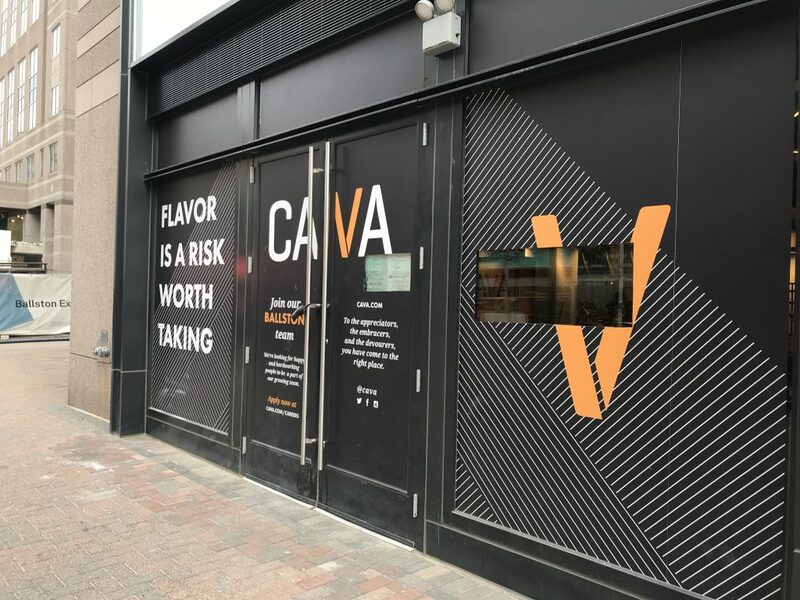 Mediterranean fast-casual restaurant CAVA is opening its Ballston location on Friday (April 13). To kick off the grand opening, the restaurant will be offering the first 150 customers a free meal. The free meals start at 10:45 a.m., and proceeds from sales will go to City Blossoms, an urban gardens and community building focused organization. The new 52 seat location is on the ground floor of the Stafford Place II building, at 4121 Wilson Boulevard, which is the former National Science Foundation headquarters. It will replace Matsutake Steak and Sushi, which closed at the site in 2014. This Ballston location will be the chain’s 51st in the country, and the 28th in the Washington metropolitan region. Hours of operation will be 10:45 a.m.-10 p.m. daily.